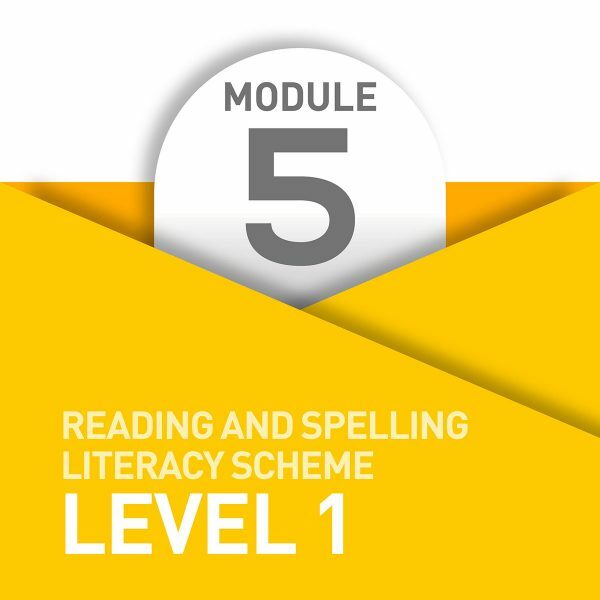 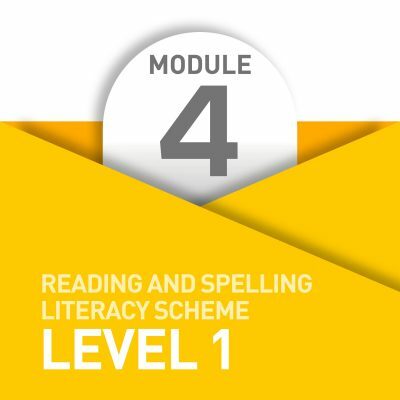 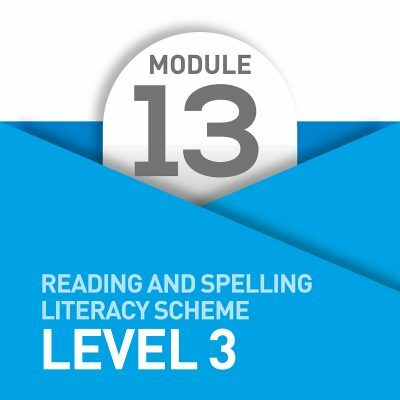 Module 5 reinforces all previous work covered in Modules 1 to 4 and introduces the letters and phonics of ‘j’, ‘u’ and ‘g’, as well as ‘y’ as a vowel and suffix ‘y’. 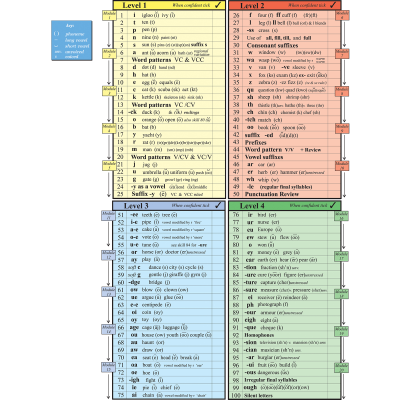 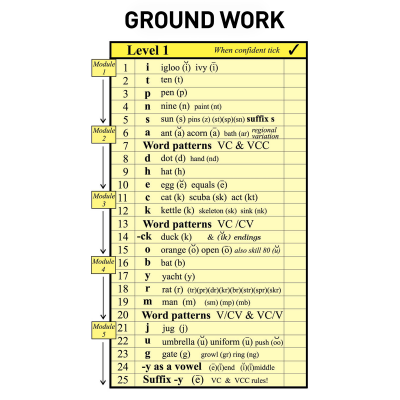 The most common grapheme/phoneme correspondence for ‘g’ is in “gate (g) “. 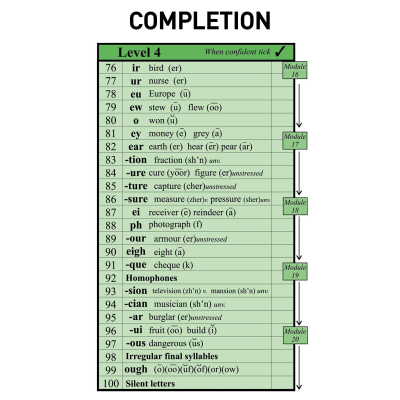 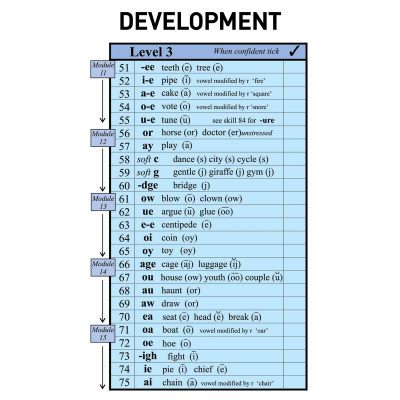 To avoid confusion with the soft ‘g’ as in “giant (j)” this phoneme/grapheme correspondence is taught later within the structured programme in Level 3, Star Skill 59.